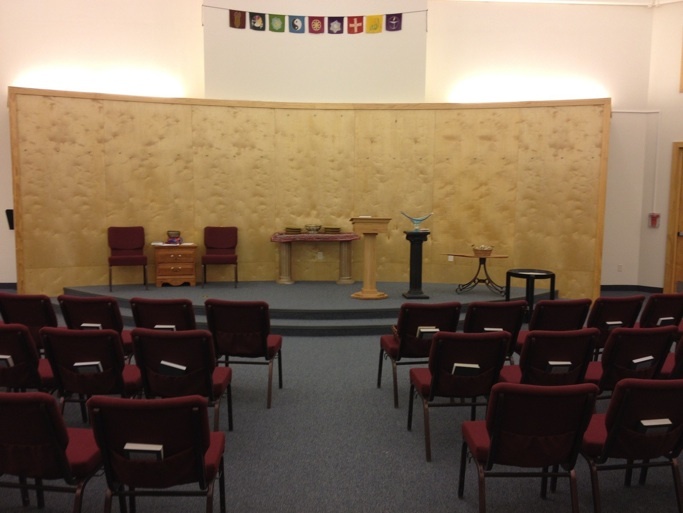 Our Sanctuary: Facing an elevated worship and performance area. There are small hooks on this wall that allow art, signs, or anything else to be hung and displayed. Our Sanctuary: The view facing our additional gallery space and wall of windows that look out to the back of the property. 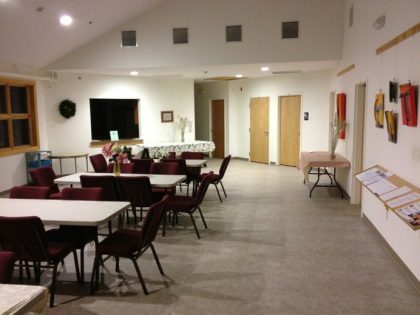 Our Fellowship Hall: Notice the pass-through window to the kitchen. Children’s Religious Education rooms are straight ahead and down the hall. 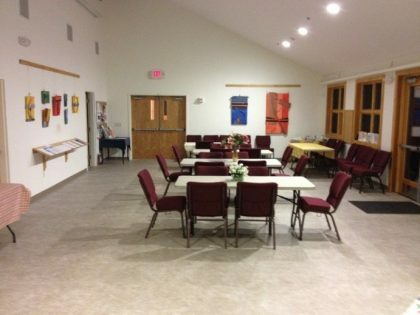 Our Fellowship Hall: Not just for eating! We also hold meetings here. 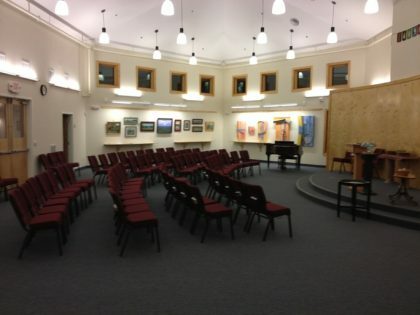 The UUCRT Meeting House is located on 7 acres of land on a hilltop in Rock Tavern, New York. Our address is 9 Vance Road, Rock Tavern, NY. Our space is shared in the daytime during the week with The Birch School, with whom we have an unaffiliated but friendly relationship. Our facility is available for use at other times for weddings, funerals, memorial services, birthday celebrations, or public or private meetings. All questions about possible usage of the UUCRT building can be sent to board president Mike Landrum at mikelandrum3@gmail.com. Click here for our Building Use Policy. Click here for our Building Use Policy/Requested Fees. The Building and Grounds Ministry is responsible for maintaining and improving the property, real and personal, of the Congregation. It reviews all contracts essential to the maintenance of the building and grounds at least once a year. The Building and Grounds Ministry Leader is Jay Beaumont. On September 12, 2006 our previous building at that location burned to ashes in an early-morning fire. We were temporarily housed at At. Annes Episcopal Church in Washingtonville, NY. At a special congregational meeting on March 2, 2008, the UUCRT unanimously passed a floor plan for rebuilding. The UUCRT committed itself to building green and secured the architectural services of Alfandre Architecture in New Paltz NY, with Rick Alfandre, a LEED certified architect committed to building environmentally sustainable buildings, and David Ekroth, a UU, as lead architect. The civil engineer was Troy Wojciekofsky, PE, Senior Project Manager at Fuss and O’Neill, located in Poughkeepsie NY. This firm ranks in the top 200 environmental firms in the country. The builder was Jim Hinze of Zion Church Builders in Mattawan MI. 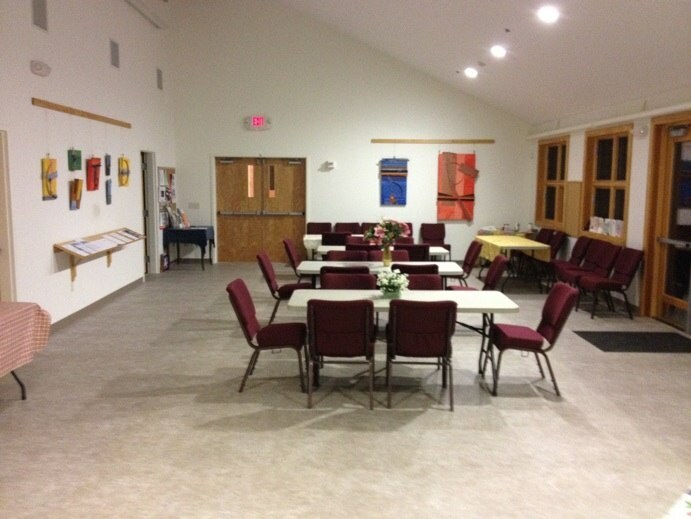 Through monies from a capital campaign, insurance, and Chalice Lighter donations, our beautiful new building was completed in in the spring of 2010. 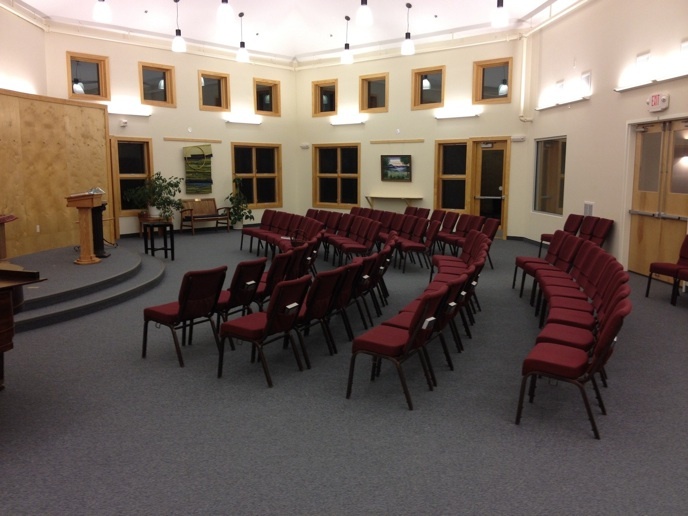 The new building is approximately 6,000 square feet, and was designed for growth into the future. It contains the sanctuary, a fellowship hall, RE classrooms, and offices. The sanctuary holds up to 150 people.